Employees were greeted with a breakfast BBQ for 80 at the office. 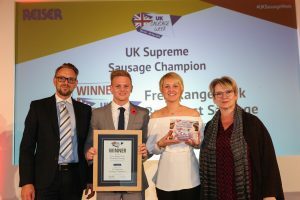 It was a banging end to a momentous fortnight at the Myers Briggs Company in Oxford with staff celebrating UK Sausage Week on Friday 2nd November. 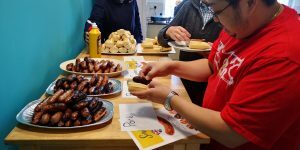 Employees were greeted with a breakfast BBQ for 80 at the global business psychology company, which has recently marked a rebrand. 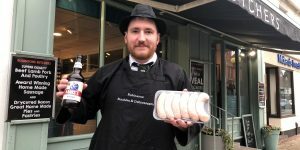 The sausages were supplied by local Meatmasters butchers in Oxford and were served with crusty bread, complete with all the trimmings. 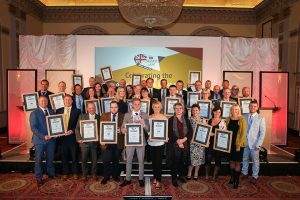 Mark Rodgers, sales team manager, organised the event with the help of Gareth Williams, facilities manager, both arriving early on the crisp November morning. 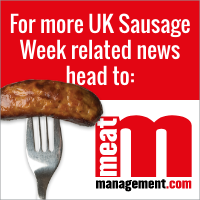 Mark said: “UK Sausage Week captured everyone’s imagination last year when we were first introduced to it. We decided to mark the occasion, with an even bigger and better celebration in 2018.